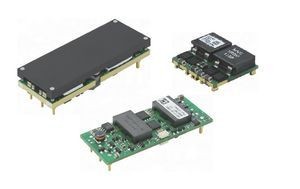 Huawei power modules are characterized with high efficiency and high power density. Both our customers and the end users will find the advantages of using Huawei power modules in their systems in terms of product performances and operating cost. The reliability of Huawei power modules is built on high reliable design, high quality materials control, strict manufacture control and perfect life cycle management. With the telecom power reliability test criterion and environmental devices tests, the failure rate of Huawei power modules is lower than the average in the industry. With the modular approach, customers can easily develop a power solution with significant reduction on design time and engineering resources and TCO. You may also interested to know more about the Reliability, Safety and EMC qualifications about the power modules.